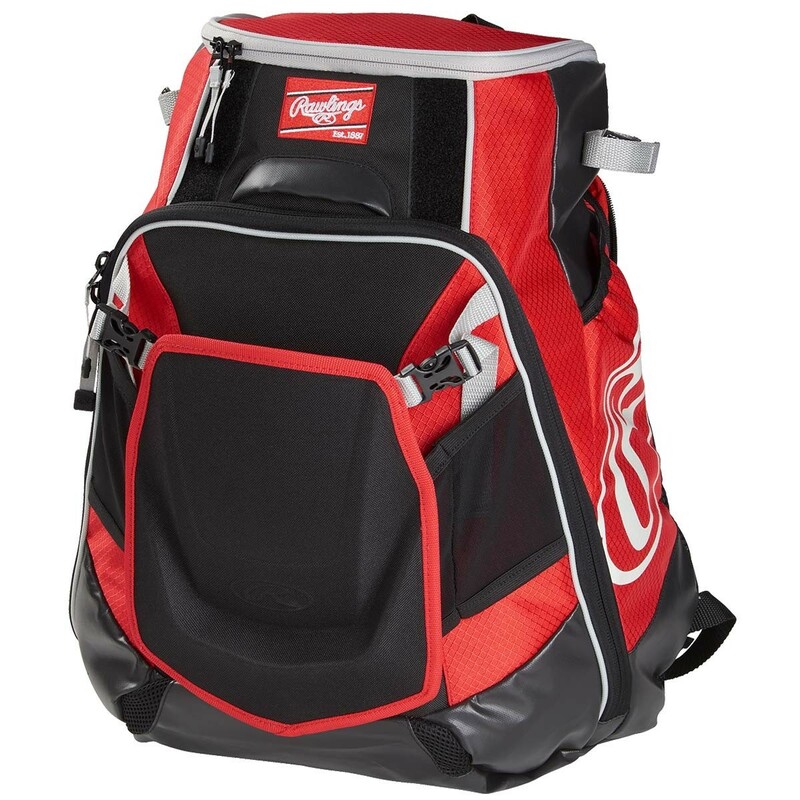 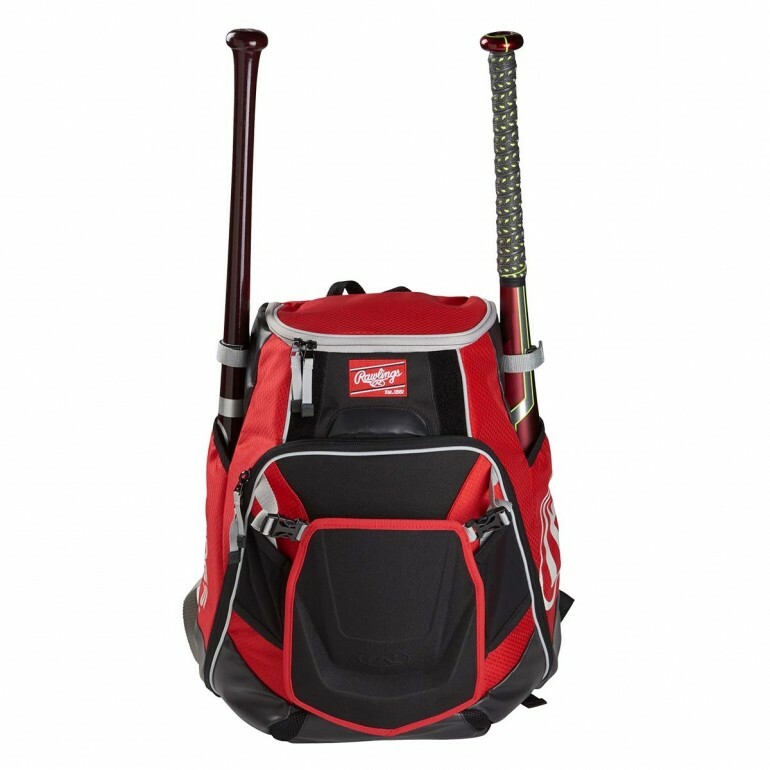 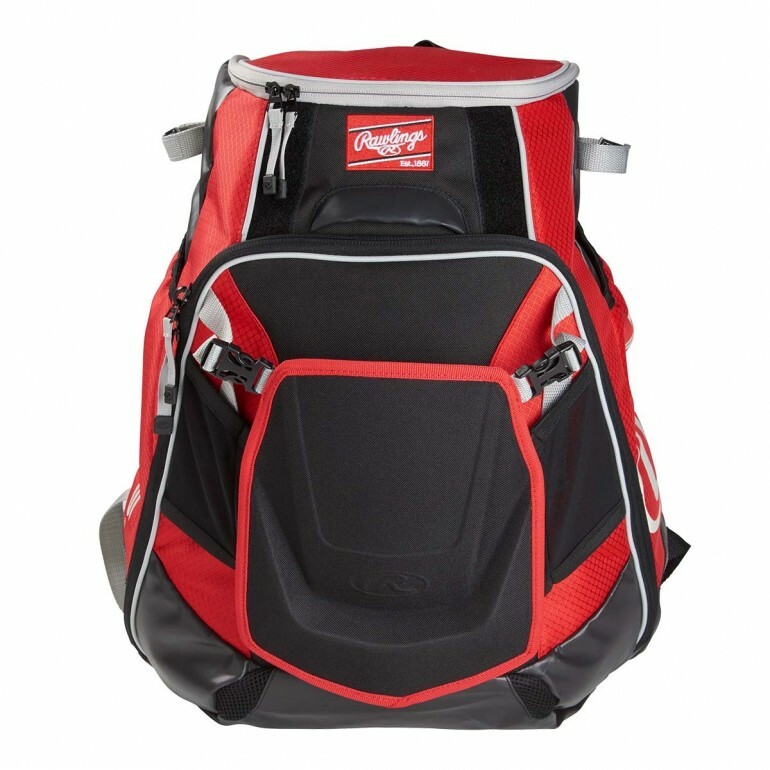 This Rawlings Velo™ Backpack measures 19.5"H x 17"W x 9"D and is the perfect bag to carry your gear to the diamond. 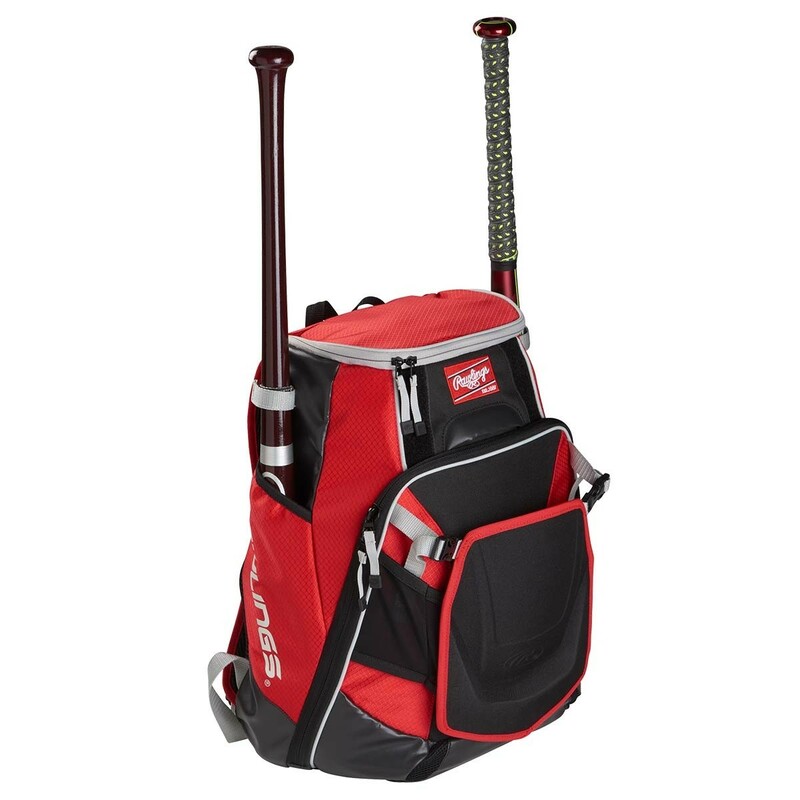 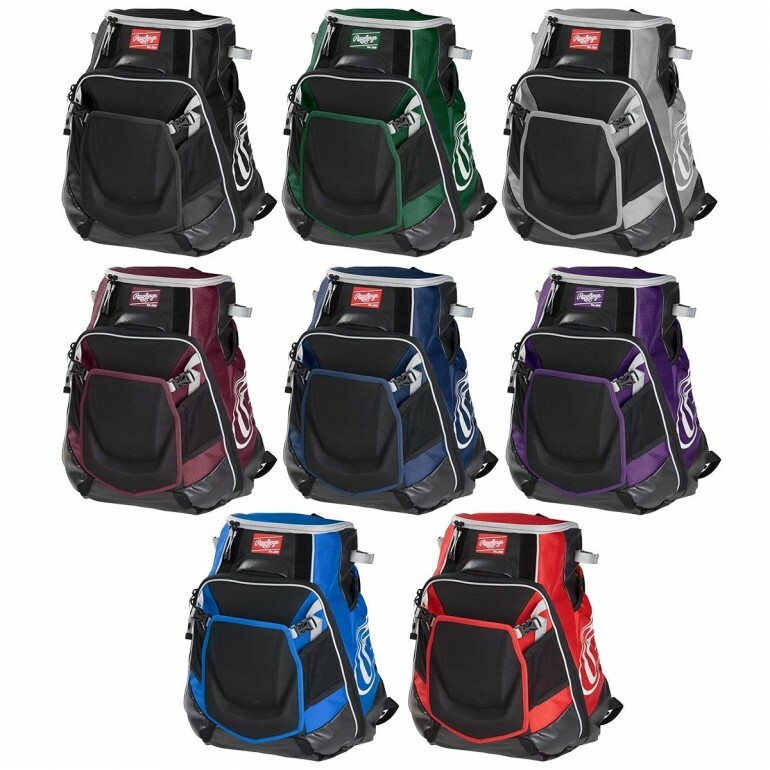 The Velo backpack holds up to two bats and features a large main compartment that converts to a convenient shelf for easy access to your gear during the game. 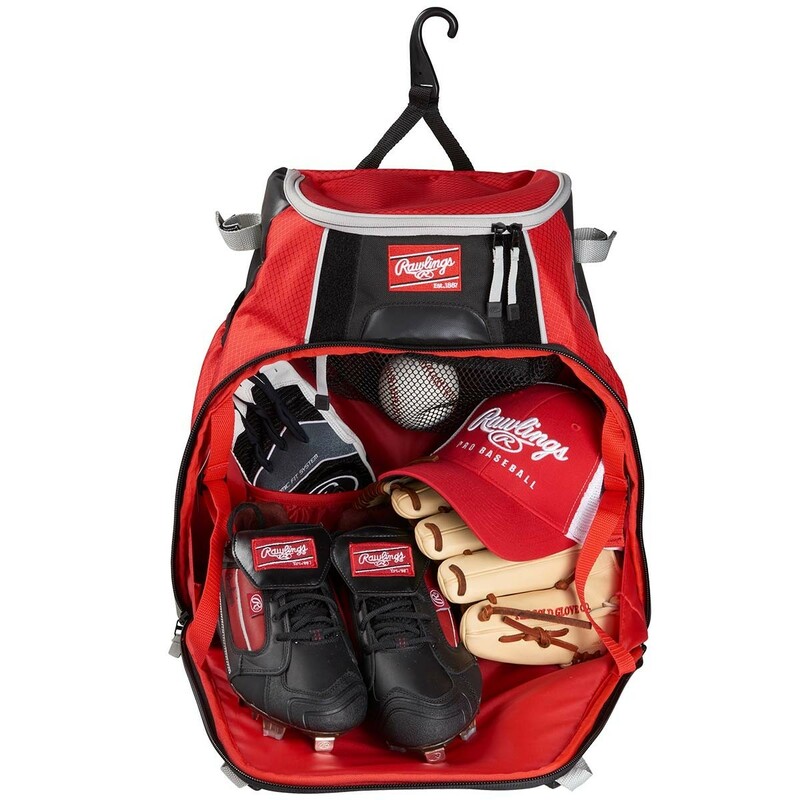 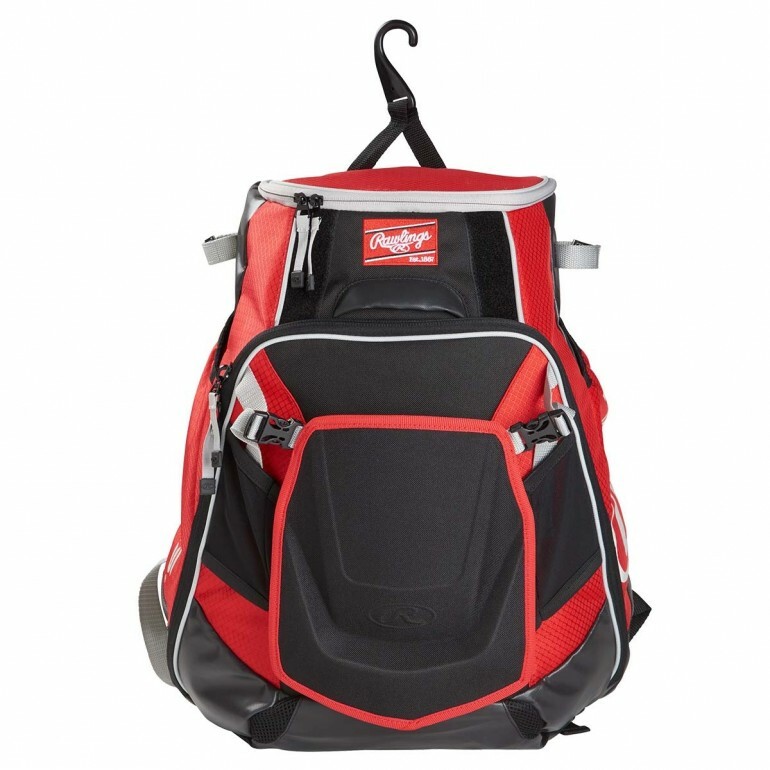 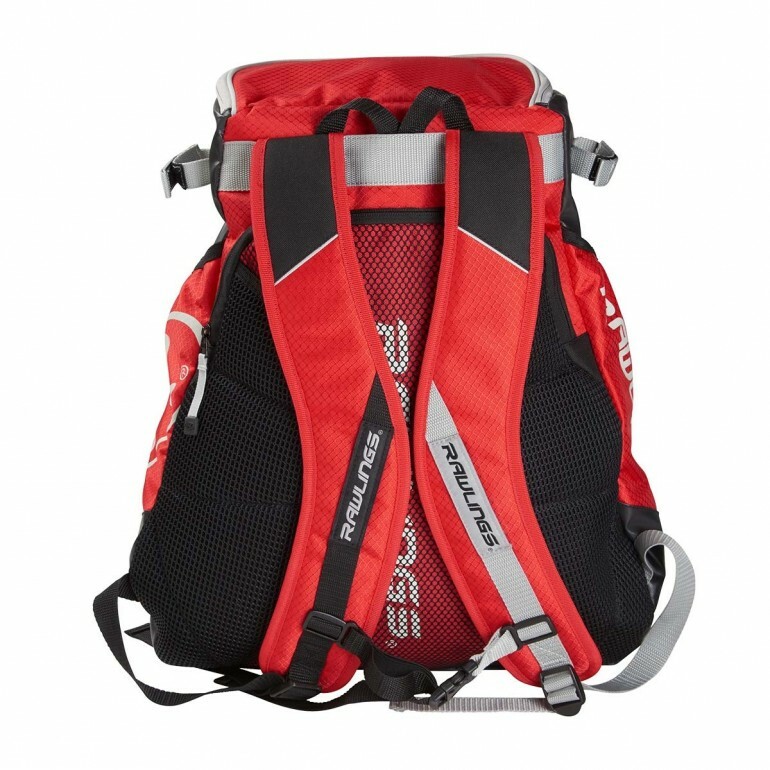 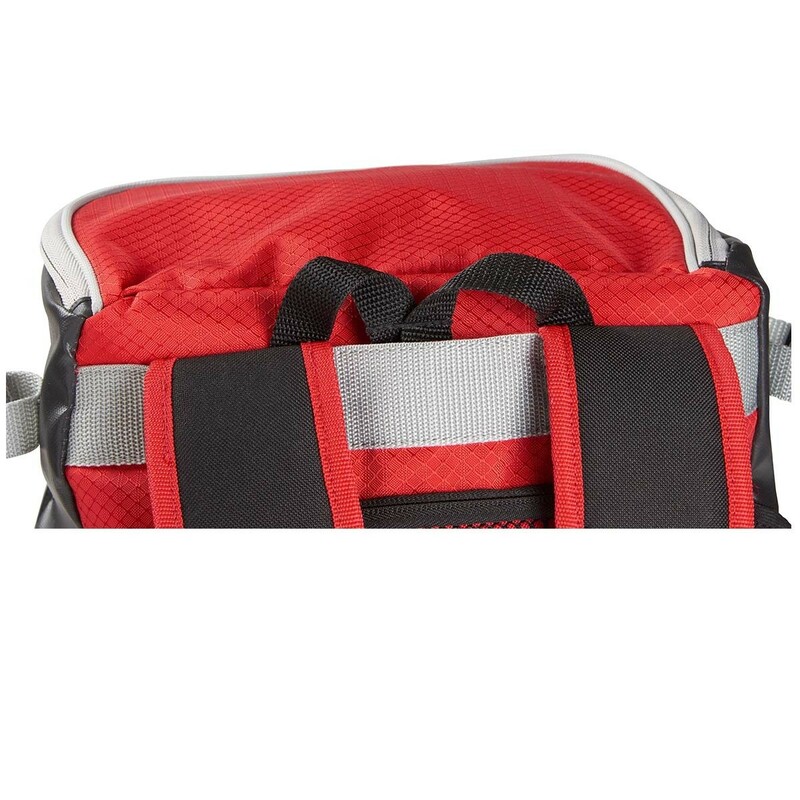 This backpack also has a pocket for your laptop or your tablet, a fleeced lined pocket for your phone, a sturdy fence hook, two external velcro strips for batting glove storage, and a compartment for your helmet and shoes.